Welcome to Otus! 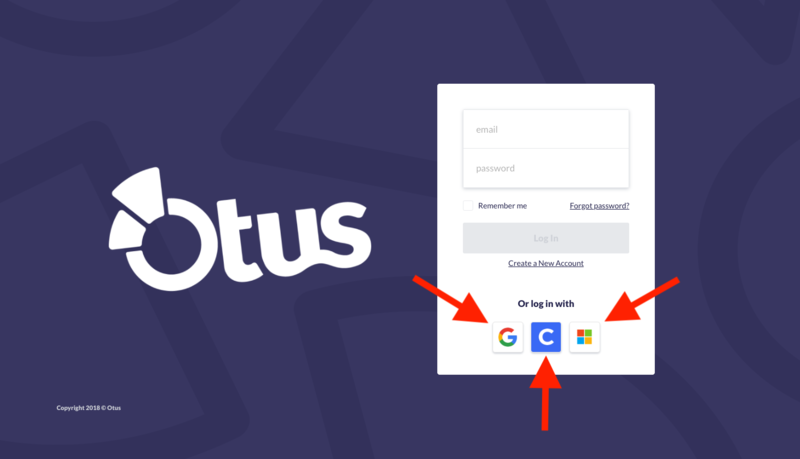 In order to log into your account, go to https://my.otus.com. Once there, if your school has Gmail, Clever, or Microsoft logins (If you aren't sure, ask your teacher), click on the corresponding button and log in with your existing username and password. If you don't use any of the three account types above, your teacher should have the email and password you should log in with. 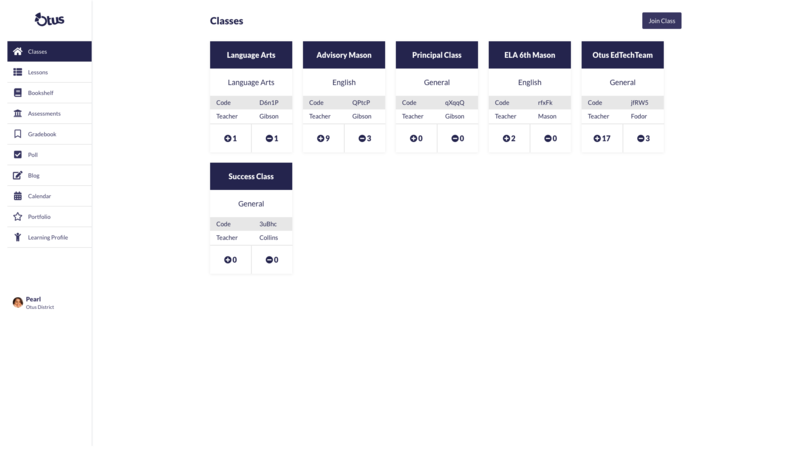 You should be able to see all of your classes after you log in as tiles on your Otus app. Click on a class tile to view the Class Board for that specific class. This is a place your teacher can post announcements and homework for the day. To take an assessment, click on the Assessments module. You will see a list of all assigned assessments in all of your classes. To look at your assignments in a specific class, you can use the drop down menu to switch between them. In order to take the assessment, just click the row the assessment is in. Keep in mind, though, that if once you click Submit at the end of your assessment, you won't be able to go back and view your answers until after the assessment is graded. If you want to leave your work and come back to it, just navigate to another page, the assessment will be auto-saved.